Today has been a long day, and possibly not a good evening to try a fiddly stitch. I thought that after last night’s success with waffle stitch, it would be nice to do diamond stitch tonight, but it took me three goes to get the first diamond row done. In part that was just because I’m tired, but also because I was watching TV and there were no written instructions and the video was awkward to watch with only subtitles. I am again reminded how useful charts are, and how invaluable well-written instructions using the right terminology. A video alone is not always the best way to teach. 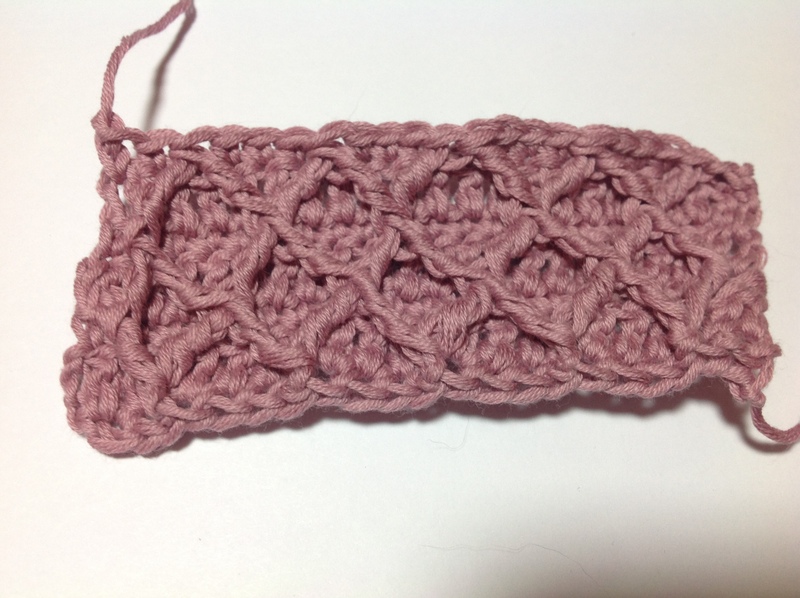 So today’s swatch is a bit wonky and ragged at the bottom, but I did finally get the hang of it, even if it took me an hour to do this tiny scrap!